Jalen Cone After Winning Again! Happy New Years Basketball Spotlight Family! Christmas was fantastic this year! I got to hang with my family. Everyone got what they asked for and was very happy. We also celebrated the birth of Jesus. I cannot wait for this new year to come, it is going to be exciting. I also cannot wait for greater opportunities that will come my way in 2016. Basketball season is going great. We are winning and making statements that we are hungry and we want that National Title. I am still in the gym everyday working hard. Even when I am at home, I am finding ways to better myself. It is a process and the process has its ups and downs, but I am learning. I just have to keep working and wait my turn and my time will come. I am learning a lot from these older guys. I am very thankful for them and the opportunities they have put me in. Until next week, be safe as you celebrate the New Years and get ready for God's Blessings in 2016! 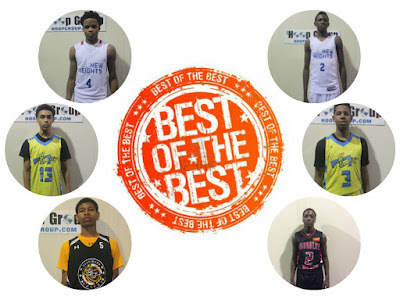 The Basketball Spotlight 7th Grade Clash For The Cup was exciting and brought attention to some nice prospects in the Class of 2021. 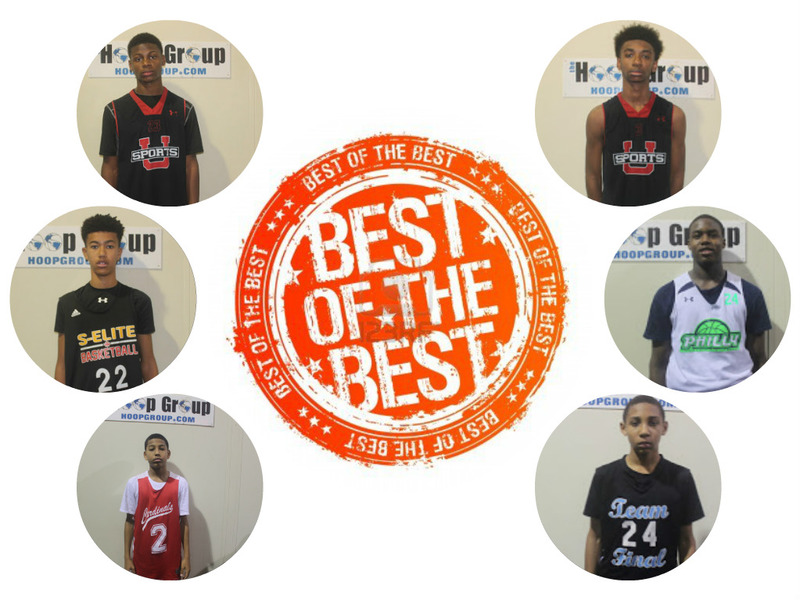 Here’s a look at our 7th Grade Best Of The Best and All-Tournament Team. Best Performer Tristan Jefferies (Team IZOD): Jefferies not brought his offensive punch but he also got it done on the defensive end. As previously stated he played the passing lanes well and harassed ball handlers. He converted steals into easy buckets. 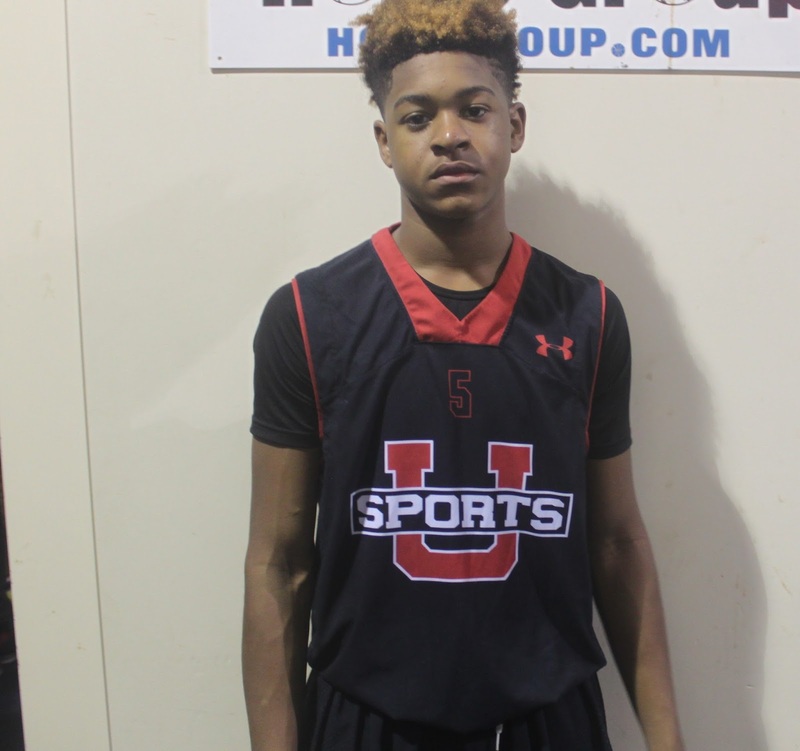 Best Playmaker: Caleb Houston (S-Elite)- The silky smooth guard can run the point or provide the scoring. Once he gets the rock you can bet that something good is going to happen. He has a legit handle and sees the floor very well. This kid has big time potential. Best Prospect: Trey Patterson (Team IZOD)- Patterson continues to grow in height while stretching his game out to the perimeter. First thing you notice about his game is his improved motor and offensive end aggressiveness. He still has a ways to go but when it comes all together it should be something special. 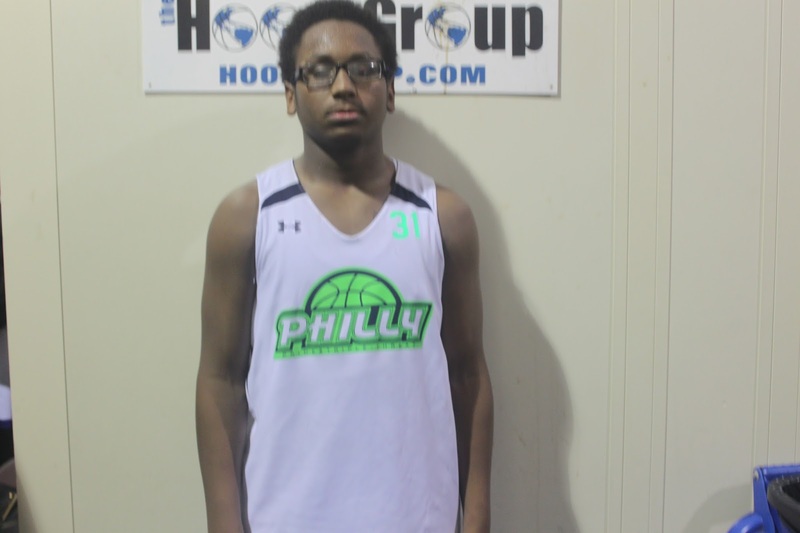 Best Inside Presence: Zaakir Williamson (Philly Triple Threat)- Williamson has stretched out a few more inches and improved his speed and agility. He hard to defend on the blocks and has added more post moves to his arsenal. Best Floor General: Andre Washington (PSA Cardinals)- Washington runs the show with speed and efficiency. He gets anywhere he wants on the floor and has a good assist to turnover ratio. His play was important in their semifinal run. Best Scorer: Malachi Smith (Gauchos)- The Gauchos guard lit up the scoreboard in at least one of his outings. If his outside shot is falling then it’s going to be a long night for the opposition. This kid can get buckets. Best Defender: Jesus Dejesus (PSA Cardinals)- Dejesus plays great defense especially on the wing. He’s willing to the guard the opponent’s best scorer and loves it along the way. Best Fresh Face: Rassol Diggins (Team Final)- The fluid combo guard made the most of his Spotlight debut. I like his scoring prowess and play making ability. Team Final seems to have another good guard in Diggins. The Basketball Spotlight Clash For The Cup brought together some of the top 8th Grade teams regardless of sneaker affiliation. Some players really made a name for themselves over the first weekend in December. Here’s our 8th Grade Best Of The Best and All-Tournament Team. Best Performer: Ryan Myers (New Heights)- The southpaw was known to score last season but took it up notch during the Clash. He led the tournament in scoring while also helping his team win the championship. He has started this season out on a bang and has the early for POY consideration. 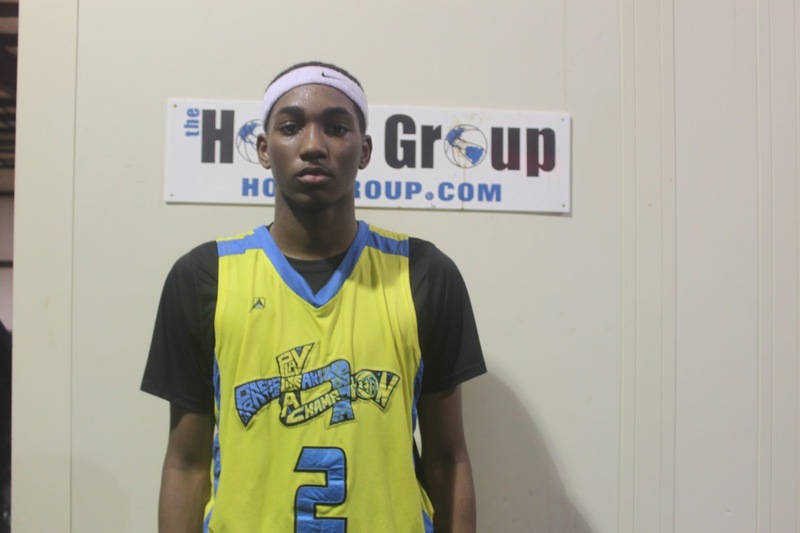 Best Playmaker: AJ Hoggard (Team Final)- Hoggard also made an early case for POY. The lanky point guard danced on opponents all weekend while finishing with passes and big time buckets. We expect a big time season from this kid. Best Fresh Faces: Lynn Greer Jr (Team Final) and Noah Farrakhan (NJ Playaz)- Both guards made incredible impacts their first weekend at a Spotlight event. Greer provided TF with a scoring punch and play making ability in the open floor. Farrakhan showed he also was a top notch performer. He got busy in transition and the half court set. He scores from all three levels and makes it look easy at times. 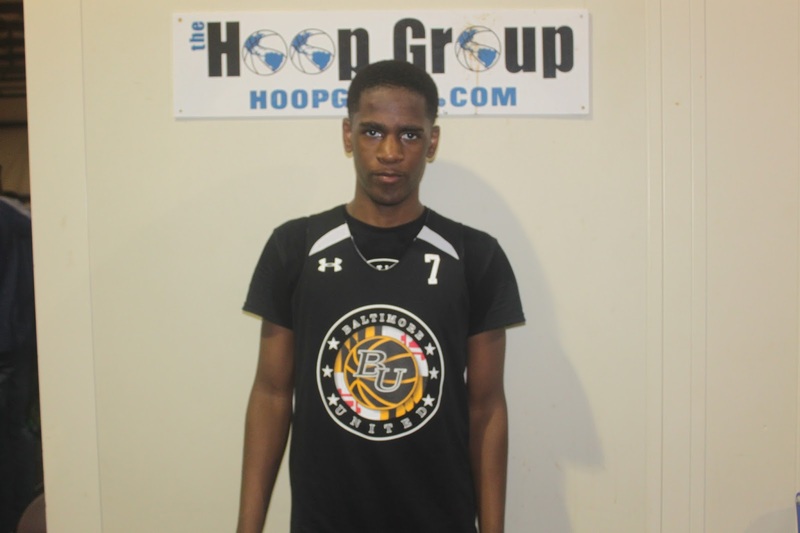 Best Defender: Isah Muhammad (New Heights)- The intimidating shot blocker and rebounder made a huge impact on Day 2. He anchored the defense for the champions and should help them be a force during this season. 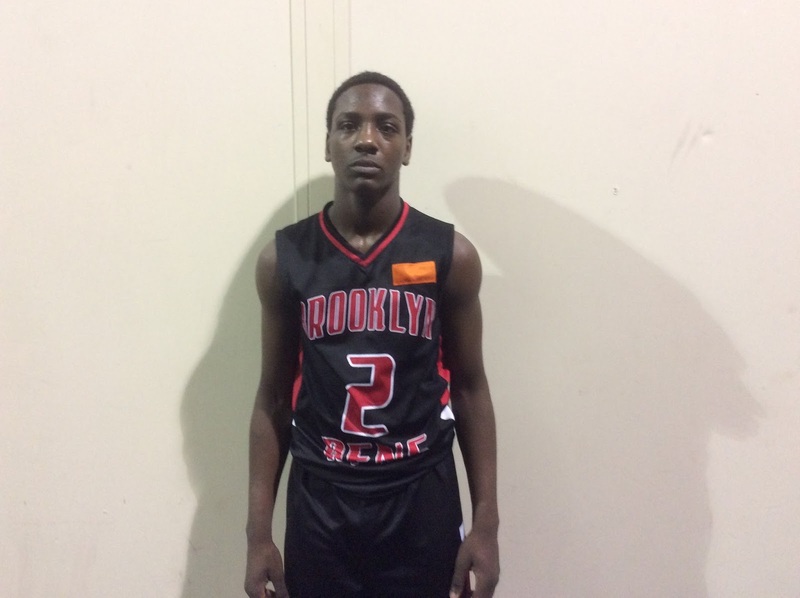 Best Floor General: Kareem May (Brooklyn Rens)- “That Dude” had a breakout weekend. He was noticeable last season but now he has taken the game to another level. He’s currently breaking down defenders with ease and finishing in traffic. 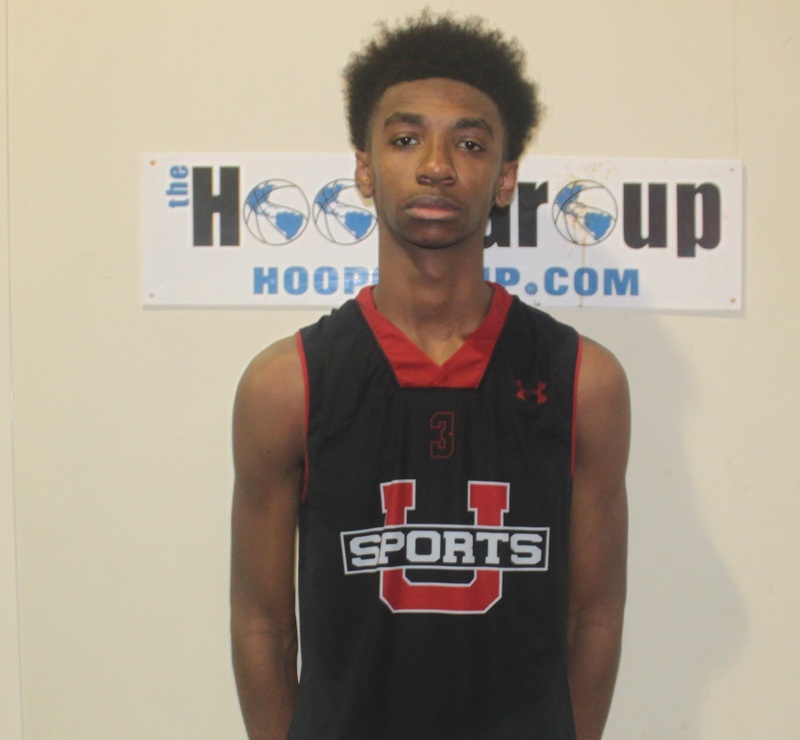 Best Prospect: Justin Lewis (Baltimore United Thrill)- Lewis continues to thrive each time I see him. His explosiveness and improved play making off the dribble is something to see. He name is ringing bells now and it only will get louder as the season progresses. This week I am at the City of Palms Classic in Fort Myers, Florida. It is one of the best high school basketball tournaments in the country, maybe the best. My varsity team, High Point Christian Academy (HPCA), has made it to the semi-finals on Tuesday, December 22nd! We will play Chino Hills for a chance to make it to the finals on Wednesday night. By the Way, the championship will be televised on ESPN. The opportunity to be a part of something like this as an 8th grader is great! The atmosphere has been crazy in the gym! There were people waiting outside the gym trying to get in and find a seat. In addition, to get to play against some of the top players in the country in high school basketball like Jayson Tatum, Michael Porter, Alonzo Ball, and many more has been surreal. Every team in the tournament has been talented. I will update you next week on how we end up. Finally, I want to talk about this special Holiday coming up- Christmas. I cannot wait for Christmas to come, it is my favorite holiday. I get to be with my family, everyone is happy opening their gifts and spending quality time with each other. But most of all, we celebrate Jesus' Birthday. Jesus is the Son of God who died for all our sins so that we can have a chance at eternal life in Heaven. Christmas has become so commercialized, but the true celebration begins with recognizing that this is the time of year where we thank God for sending his son Jesus to this world. The 6th Grade Division at the Basketball Spotlight Tip Off Classic came with a lot of heat. 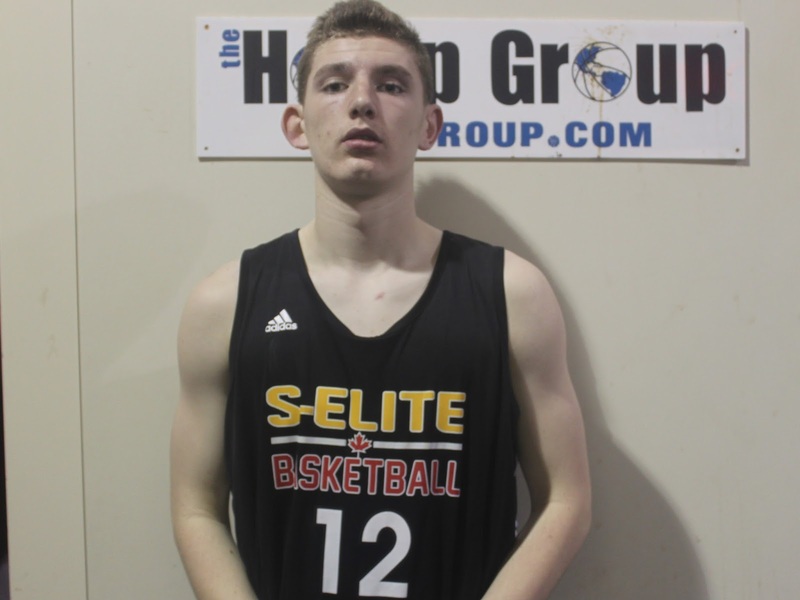 Here are the top performers from the weekend in Neptune, NJ. Francisco Mattei Forward (Riverside Hawks)- Mattei simply just punishes opponents with his bruising style. Once he gets the ball in the lane he has one thing on his mind and that’s getting buckets. He finished with 16 points in the championship game and took home MVP honors. 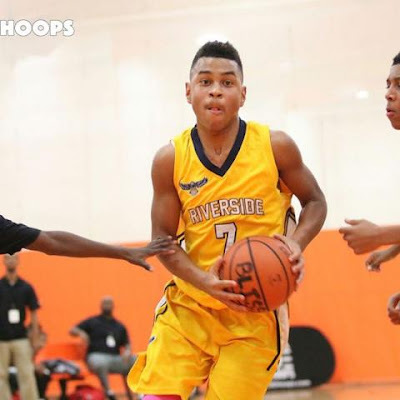 Kamren Rodriquez Guard (Riverside Hawks)- Never a stranger to the bright lights Rodriquez stepped up during the finals. The floor general did his job of making plays and scoring himself. He has the poise, game and swagger for the big stage. He tallied 15 markers as Riverside took home the banner. Michael Carothers Guard (Riverside Hawks)- One of the smoothest players in the region Carothers can stroke from deep with ease. He can stretch the defense and he showed it in the championship but nailing 3 treys on his way to 17 points. He has proven to step up for Riverside in money time. 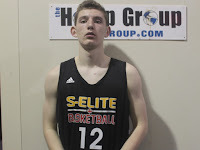 Joey Medlin Forward (NY Rens)- Medlin uses a power game inside and is an intimidating force. He scores close to the basket and rebounds hard. On defense he clogs the lane and protects the basket by blocking or altering shots. We are forced to keep an eye on this kid. Darius Coleman Forward (NY Rens)- Coleman plays alongside Medlin and did damage on the weak side in the finals. He tallied 14 points and made a living at the charity stripe. He and Medlin makes a mean 1-2 punch. The NY Rens are in good hands with these two. 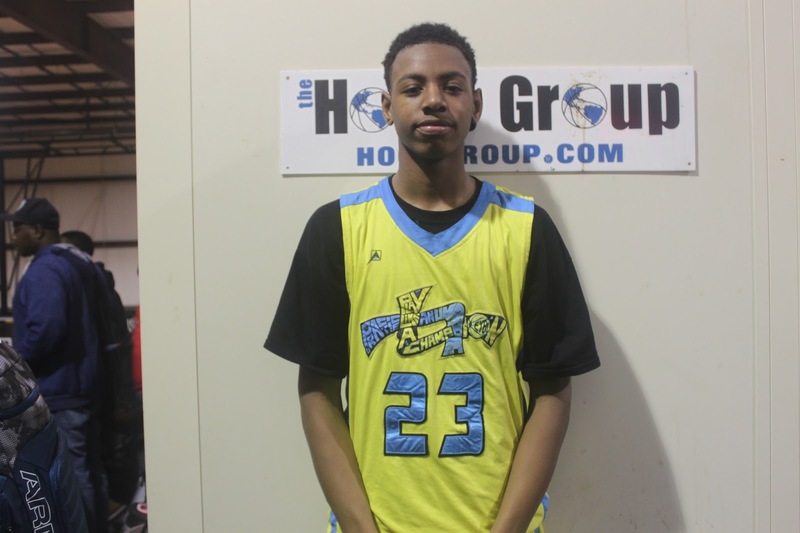 Tylaur Johnson Guard (NY Rens)- This floor general has a lot of wiggle in his game and proved it at the Tip Off Classic. He gets in the lane whenever he wants and takes care of the rock in the process. He added some scoring in the championship with 13 points in the loss. Zatai Townsend Guard (NY Rens)- Townsend plays the game with a fast pace and can either play the point or the off guard position. He has an all-around game in terms of setting up teammates and scoring. Another young NY guard that can make things happen. Alpha Berry Forward (NY Mustangs)- The forward has a serious upside and tore up the scoring column at the Tip Off Classic. 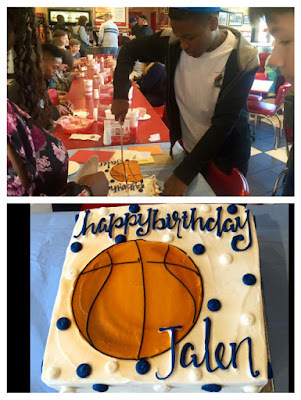 He tallied 27 points against NY Lightning and 23 points versus the Brooklyn Rens. This young forward gets buckets and doesn’t care who he is playing against. Darelle Ervin Forward (Brooklyn Rens)- Ervin bullied his way to a big weekend for the Brooklyn Rens. He scored 16 points against the NY Mustangs. He has a tough game in the paint. Tip Off Classic Highlights: Lynn Greer Jr. Makes Splash! Lynn Greer Jr. made his Spotlight debut at the Tip Off Classic and showed he was worth the hype that I heard prior. The scoring guard was relentless in transition in terms of scoring and passing. Team Final cashed in again with this kid and we can’t wait to see him again at the Clash For The Cup. Tip Off Classic Highlights: Caleb Houstan AKA "THE FUTURE"
Caleb Houstan first burst onto the radar in the states when Adam Shoulders of CrossRoads Elite Camp saw him in early Fall 2015. He told MSHTV that Caleb was a big time prospect in the Class of 2022. 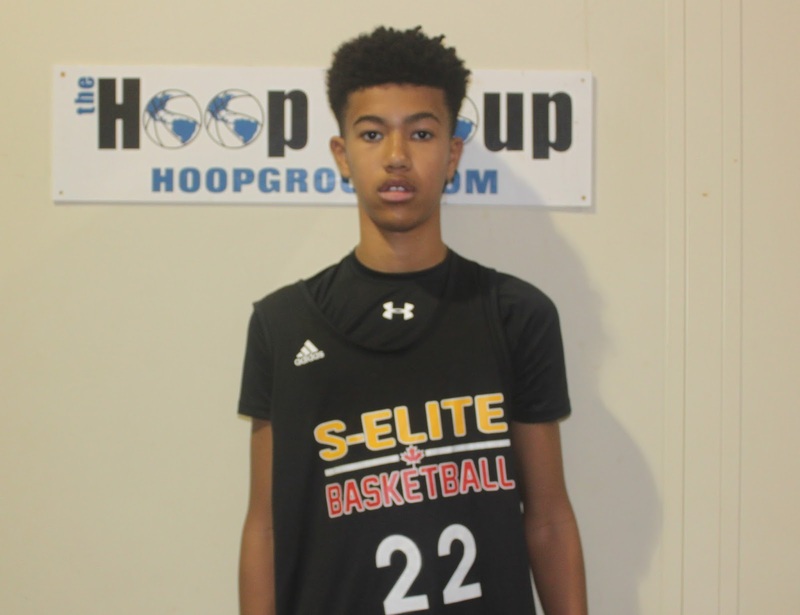 Fast forward to Mike Melton's BBall Spotlight Tip Off Classic where Caleb was playing up in the Class of 2021 for S-Elite. The 6th grader played very well and showed off a smooth, mature game that made it hard to believe he is only 12 years old. Caleb Houstan is definitely a name to remember in the Class of 2022 Basketball Rankings. The Basketball Spotlight Tip Off Classic 7th Grade Division had some fresh faces and some usual suspects that got busy. Here’s a look at Part 2 of our top performers. Caleb Houston Guard (S-Elite)- Houston plays with poise and skills beyond his years. I like how creates space off the bounce and uses a smooth stroke to torch defenders. Some players seem to always impact the game when the rock is in their hands and he is definitely one of them. Besides a 20 point outing against the NY Rens he also showed up big in their quarterfinal loss to eventual champ Team IZOD. 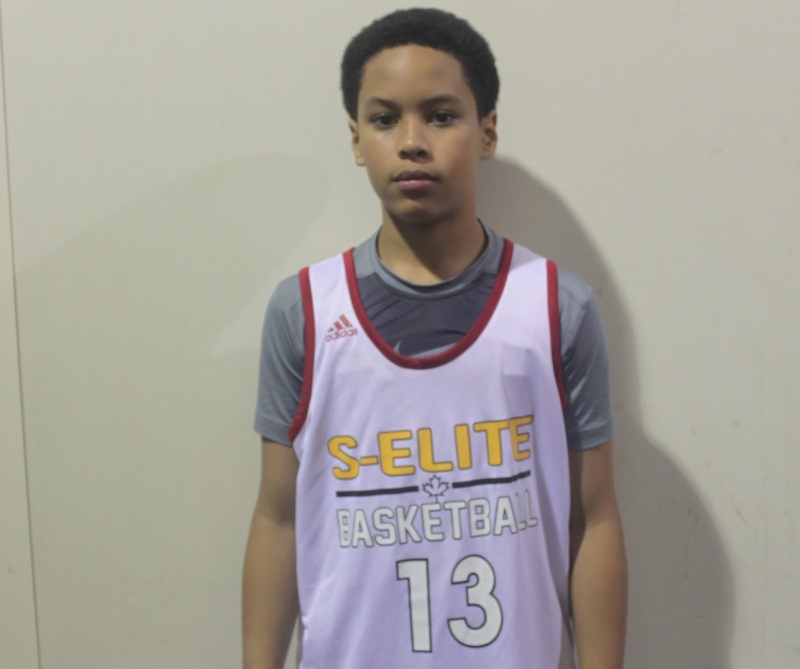 Sebastian Campbell Forward (S-Elite)- The strong forward brought his game in their quarterfinal loss to Team IZOD. He used strong moves and southpaw finishes to make a dent in the defense. He plays the game with a high motor and enjoys attacking. He also was a load to handle on the glass. 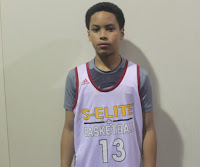 Xavier Fearson Guard (S-Elite)- The lefty not only showed off his long range with 3 treys versus the NY Rens he also showed he could use quickness to get to the basket. He tallied 15 points in that contest. Rahsool Diggins Guard (Team Final)- The smooth guard handled some of the scoring load for Team Final he lit it up from the perimeter by nailing treys and scoring within the offense. I’m anxious to see more of this kid very soon. Malachi Smith Guard (Gauchos)- Smith never leaves a Spotlight event without showing me he can score the rock. This time he made his mark against the NJ Playaz. The talented combo guard blacked out for 28 points including 3 treys from long range. He’s one of the best scorers in the region period. Joshua Bascoe Guard (S-Elite)- S-Elite program has grown so now runs the show for his own team does a tremendous job. He showed this prowess in their game against the NJ Playaz as he ran the show but also was able to drop 15 points in the victory. Tyler Seward Guard (Team Final)- Seward also showed range for the Nike squad. He pumped in 16 points against eventual champion Team IZOD and 15 markers against Hilltoppers Heat in their pool play victory. We will definitely keep an eye on this kid. TJ Morris Guard (NY Rens)- Morris made the most of weekend by scoring the rock and making plays. He showed he could get busy against some of the best talent in the country. I like how he stroked it especially against the Philly Triple Threat where he finished with 18 points including three buckets from three point land. I must admit that sometimes video footage can be deceiving in terms of evaluating a player but when you have done this for a number of years you can see through to the talent. 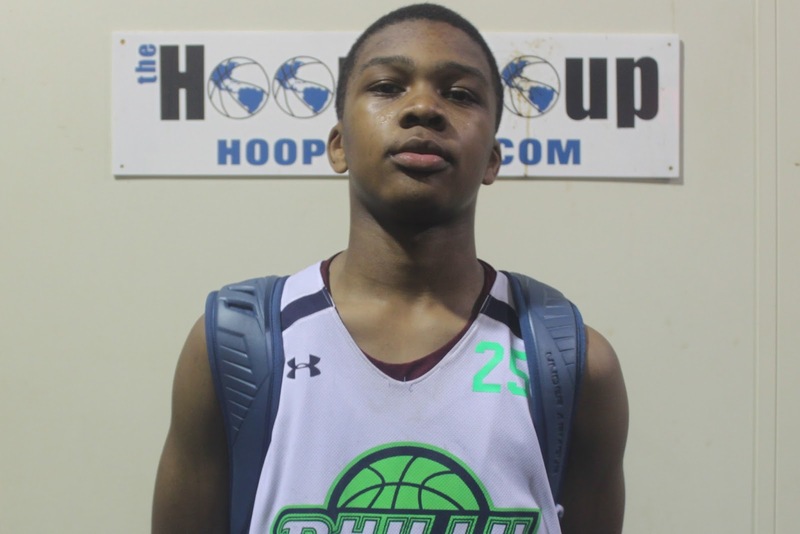 After coming across this video of Emoni Bates, a 6'3 6th Grader from Chicago. I must say that this kid looks like he has the goods and will only get better. He has the length, skills and fluid motion that makes most scouts salivate. Hopefully I get to see him in person very soon. Shout out to D Rich TV for launching this one. 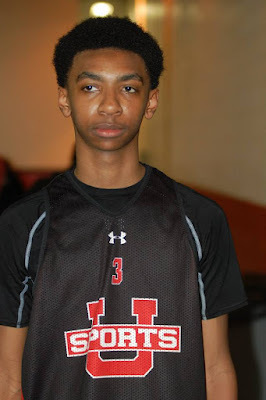 Kareem May AKA "THAT DUDE"
The Basketball Spotlight Tip Off Classic 2015 had an enormous amount of talent for the 8th Grade. We will definitely have to break it apart in sections. Here’s Part 3 of our top performers. Kareem May Guard (Brooklyn Rens)- The BK Rens look like a different team this year and May is the lead catalyst. He has the rock on a string and uses a dazzling handle to get past defenders. He also possesses a mean pull up and unique finishing moves at the rim. He dropped a team high 20 points in a win against NY rivals PSA Cardinals. But don’t get me wrong this point guard is far from selfish and proves it by dropping dimes from anywhere on the floor. His play earned a nickname Kareem May AKA “THAT DUDE”. 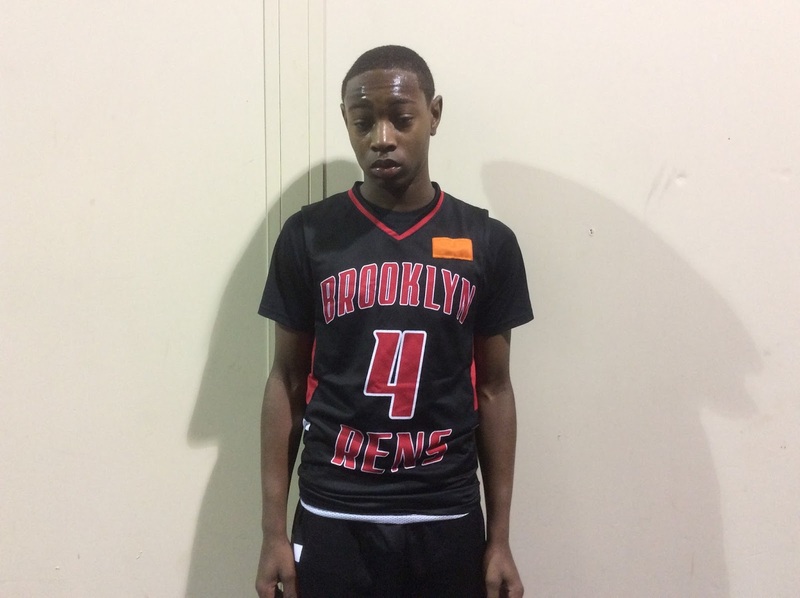 Keyshawn Leslie Guard (Brooklyn Rens)- Leslie is a ultra-quick guard that attacks along the baseline and uses a nice floater at times. But Leslie showed us he could stretch the defense behind the arc when he banged home 4 treys against the NJ Playaz. He fits nicely with the Brooklyn Rens 3 guard offense. 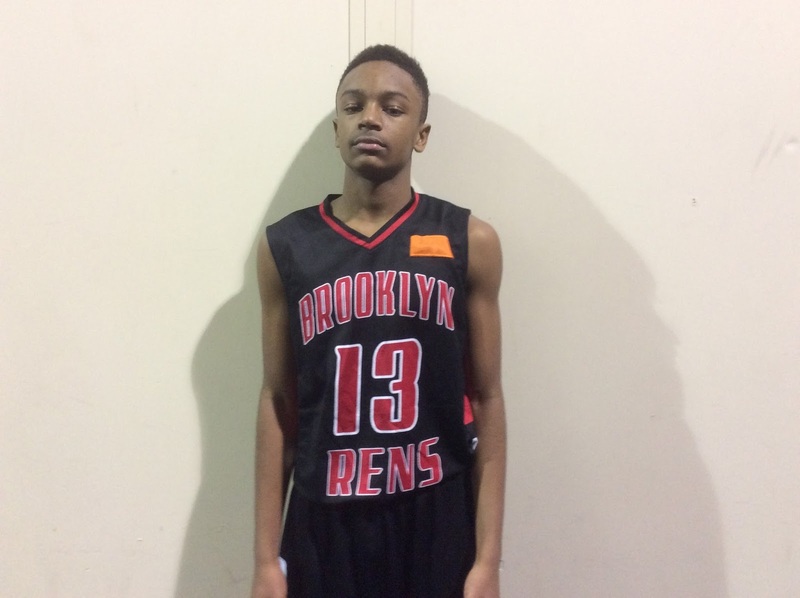 Jason Palmer Guard (Brooklyn Rens)- Palmer is the third guard of this rising trio. He is the biggest in the bunch and has a smooth game to match. He can get it done from all three levels and does it with ease at times. His size allows him to play both sides of the ball very effectively. He might be a little under the radar know but look for that to change very soon. 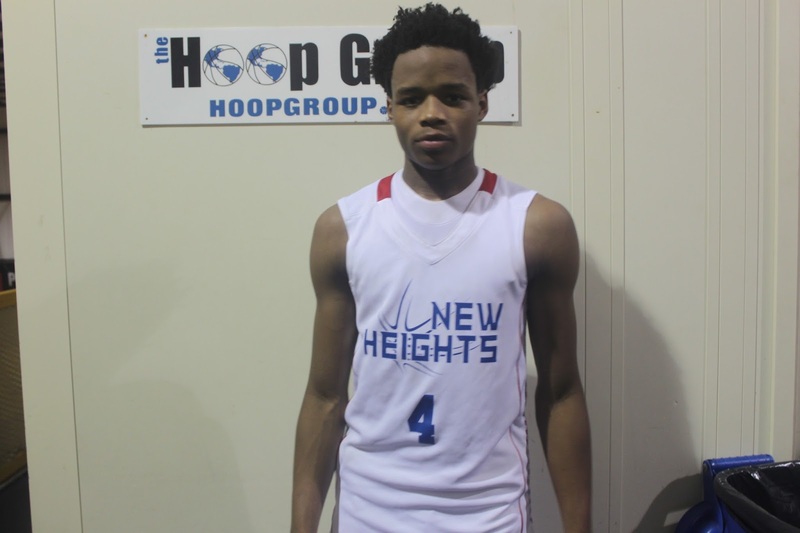 Quaran McPherson Guard (NY Rens)- Speaking of being smooth, McPherson is an explosive guard that can anywhere on the floor when he makes his mind up. 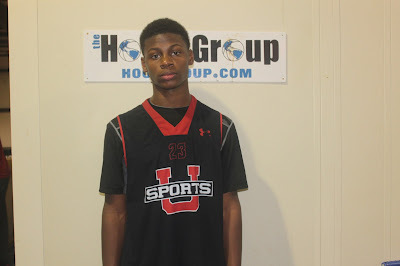 He plays the game with good intensity and loves attacking the rim. We will keep an eye on this kid. Nate Tabor Forward (NY Rens)- There’s not many in the region more talented than Tabor. He has made the transition from post to wing and looks very comfortable. Besides finishing at the cup Tabor can create his own shot off the dribble. He feel for the game on the perimeter is on the rise which mean so will his stock. 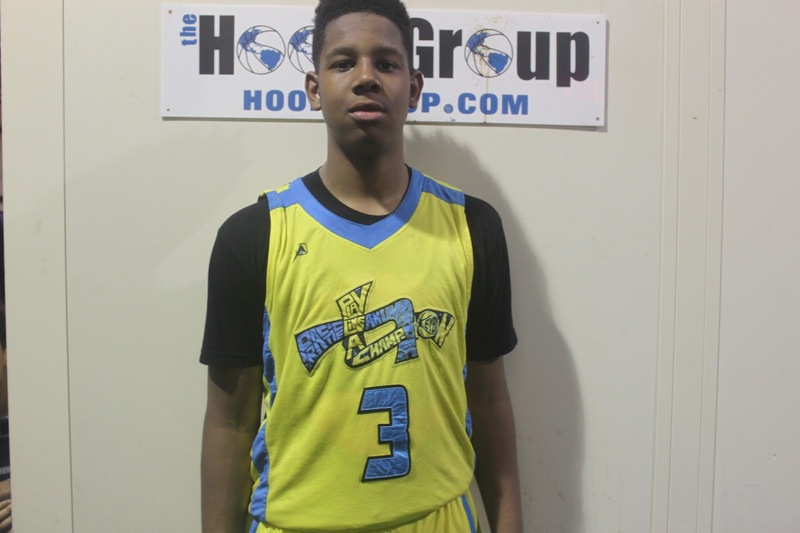 John Wilson Guard (NY Rens)- Wilson was brought in the run the show he does a good job. He now has the strength to get in the lane and finish against any competition. On defense he doesn’t mind locking in and putting pressure on ball handlers. We look forward to watching him settle in with this bunch. Zach Martini Forward (NY Rens)- Martini pushed around defenders on the blocks all weekend. He has worked on his touch around the rim and is a tireless rebounder. He anchors the inside play for the Rens on both ends of the floor. He clogs the lane well and serves as an intimidating force. Matt Zona Forward (NY Rens)- Zona played mostly free throw line extended and cashed I with a face up jumper. Besides showing good touch he also helped out on the boards and has enough length to alter shots. He and Martini make a big front court. Inaki Alvarez is an 2020 from Canada who absolutely put himself on the national stage with his performance at the 2015 MSHTV Camp. The 2020 prospect from Toronto Ontario battled with the top players in the country and went toe to toe with every player in his path. Inaki showed his playmaking ability all weekend and excelled in transition. His passing and scoring ability made him one of the most dangerous players in the entire camp. REMEMBER THE NAME INAKI ALVAREZ. 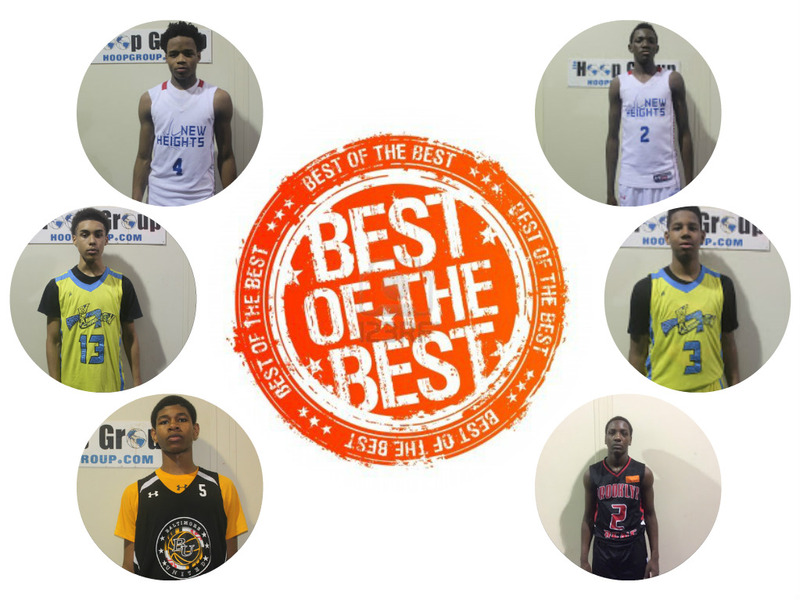 The Basketball Spotlight Tip Off Classic 2015 had an enormous amount of talent for the 8th Grade. We will definitely have to break it apart in sections. Here’s Part 2 of our top performers. Justin Lewis Forward (Baltimore United)- The DMV has a budding star in this kid Lewis. Every time I see him on the floor he seems to have added another piece to his game. At the Tip Off Classic not only did he sport a new hair cut he also showed he has developed his perimeter skills. I was impressed with how he put the ball on the deck, created plays and extended his range. The explosive prospect had a big game with 16 points in a semi-final lost to Team Final. 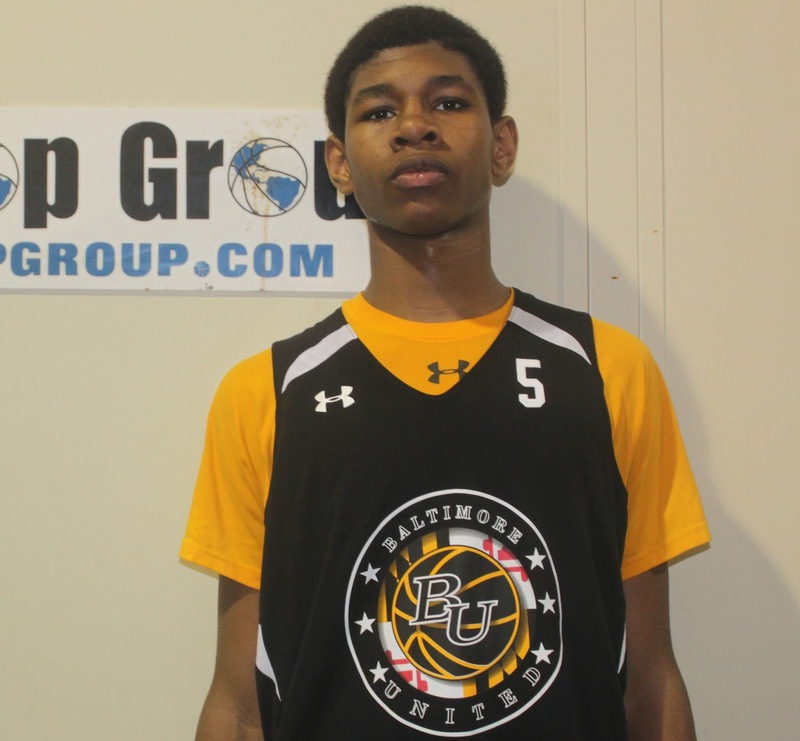 He has to be considered one of if not the top prospect in the DMV Class of 2020. 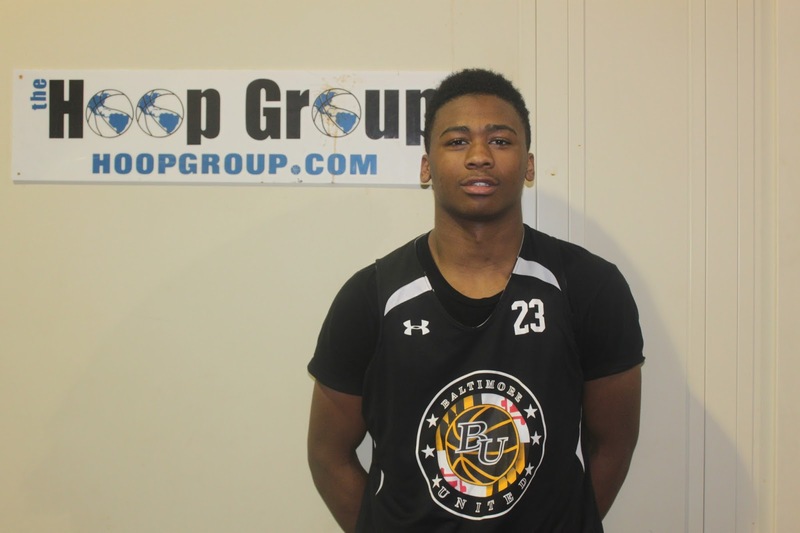 Rahim Ali Guard (Baltimore United)- Ali impressed us the Future Phenom Camp and used that momentum during the Tip Off Classic. The floor general used his quickness to get into the lane at will while also scoring and getting his teammates involved. He has some flair to his game and is willing to play both ends of the floor. He is a player to watch from the DMV area. 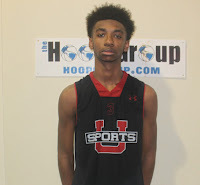 Jordan Toles Guard (Baltimore United)- Toles has calmed his game down some in terms of picking his spots to score. In the open court he showed off the athleticism that he is known for. I also like to energy how showed on the defensive end. He moves his feet, played the passing lanes and was also willing to stick his head in for a rebound. 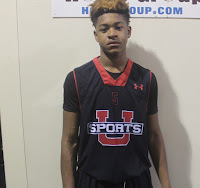 Cameron Byers Forward (Baltimore United)- Byers did most of the dirty work inside. The bruising forward used his body to bang for rebounds and score buckets. He showed his worth in their semi-final loss to Team Final as he got busy on the blocks scoring 15 points and snatching several rebounds. 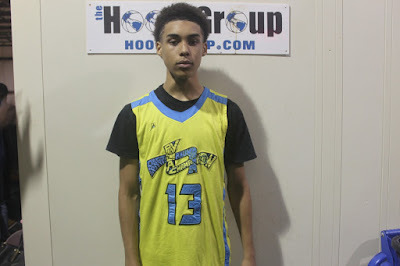 Noah Farrakhan Guard (NJ Playaz)- I don’t know where this kid came from but I enjoyed his game. The smooth point guard has a natural feel for the game. His instincts allowed him to score the rock or drop dimes for teammates. He was a like poetry in motion with the rock especially in the open floor. I like his body control and ability to finish with either hand. He was such a joy to watch. 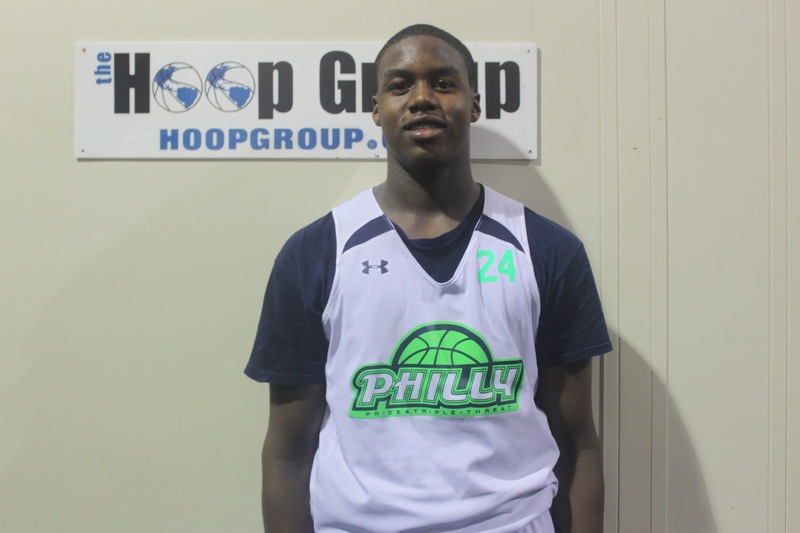 Elijah Everett Forward (NJ Playaz)- Everett continues to develop offensively but was able to get the job done for most of the weekend. He has good quickness along the baseline and is a force on the boards. He punished the Brooklyn Rens with 20 points in their victory. He is the best 8th Grade prospect in NJ and should be a name to know in the Garden State for some time. 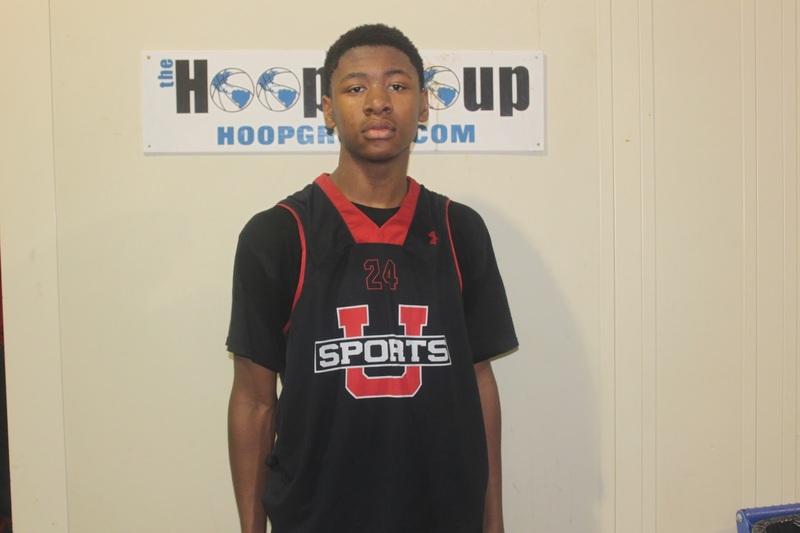 CJ Wilcher Guard (NJ Playaz)- Wilcher has shot up in height since he was a youngster and has a mean ratchet. He can definitely stroke it and the Playaz used him to stretch the defense. His scoring ability from the perimeter and attacking the basket helped the Playaz reach the final four. Ray Figures Guard (NJ Playaz)- Figures played the point when Farrakhan got into his scoring mode and he did a good job. The strong guard had enough handle to get into the lane and used his body to shield shot blockers while scoring in the lane. He also has a nice jimmy from the perimeter. He’s a good looking piece for this squad. This week is going to be an exciting week! My birthday is today, December 14th. The first thing that I did was when I woke up this morning was to thank Jesus for another year of life!!! This past year seems like it went by fast. It was a BLESSED year and God has afforded me great opportunities like being nationally ranked and playing on one of the top varsity teams in the county as an eighth grader. Time flies so I have to make the best of every opportunity. I would also like to talk about this tournament my school team (High Point Christian Academy - HPCA) is playing in this week and all next week. The tournament is called the "City of Palms Classic". City of Palms is in Fort Myers, Florida. This might be the best high school basketball event this year. All of the top high school players in the country will be in attendance playing with their school team. All our games will be played on ESPN. I am really excited for this great opportunity. We have been preparing for tournaments like this all pre-season and during the season. We just have to go down there and prove that we are the best. Every time we step on the court we are playing ourselves. The only thing stopping us is ourselves. So if we want it as bad as we say we want it, we will come out with VICTORIOUS every game. We want to bring the championship trophy to HPCA!!! The Basketball Spotlight Tip Off Classic 2015 had an enormous amount of talent for the 8th Grade. We will definitely have to break it apart in sections. Here’s Part 1 of our top performers. Ryan Myers Guard (New Heights)- I know you saw the video but it didn’t tell the entire story of how Myers was on fire. The lefty started the tournament out scorching CTA Turbo for 25 points and Expressions Elite for 27 markers. That means he went from start to finish giving everyone the business. This kid is getting it done at a high rate right now. He drained 13 treys over the weekend. 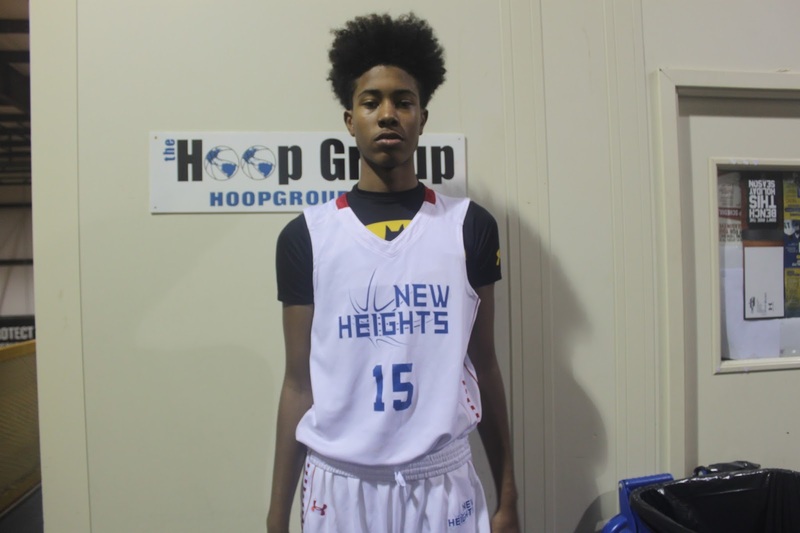 Richard Springs Forward (New Heights)- Springs stands 6’7 and still has some growing to do. He shows some versatility and the ability to extend his game to the perimeter. His best scoring outing was an 18 point performance against the Playaz in the semifinals. 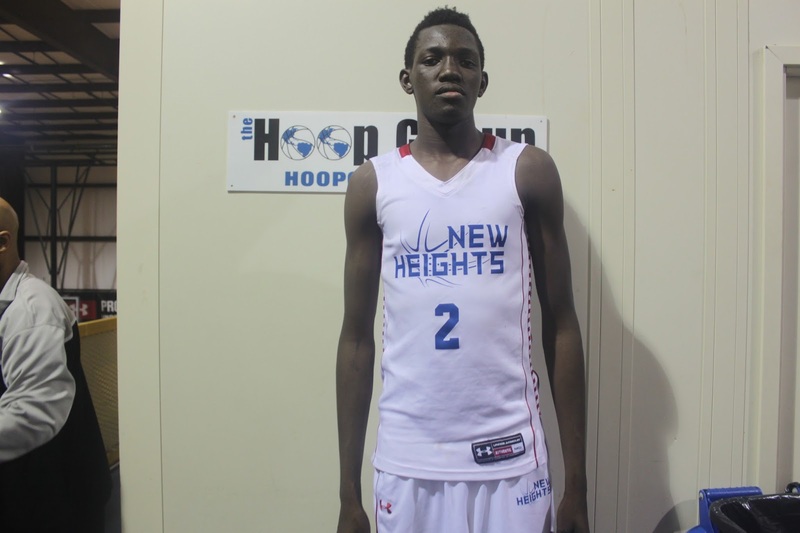 New Heights has a serious long term prospect in Springs. 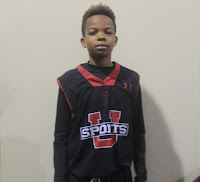 Isah Muhammad Forward (New Heights)- Muhammad missed the first day but made his presence felt on Day 2. The 6’9 forward is a defensive problem in the paint by blocking and altering shots. He instantly changes the style of the game. On offense he found his groove versus the NJ Playaz when he finished with 16 points in the victory. 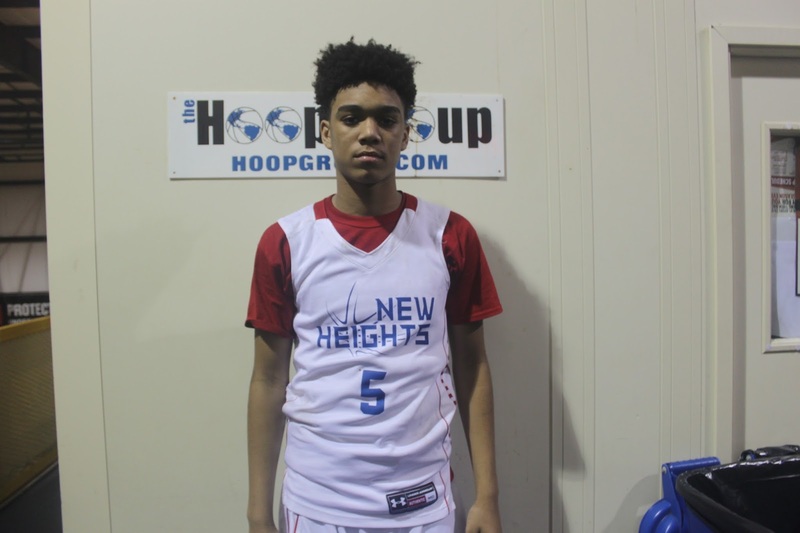 Tyler Jacobs Guard (New Heights)- Jacobs played in the backcourt with Myers. He’s a few more inches taller than Myers and showed he could score the ball. He finished with 12 markers in the finals. Defensively he gives New Heights more length on the perimeter. AJ Hoggard Guard (Team Final)- If Team Final would have pulled off the championship Hoggard would have taken MVP honors. He totally dominated the competition and raised his stock. First of all Hoggard stretched out and trimmed up and his game shows it. He used his improved quickness and explosiveness to zip past defenders, get in the lane and either score or drop dimes. I also noticed improvement in his outside shot. He had more range and accuracy from deep. Right now he has the nation on notice. Lynn Greer Guard (Team Final)- I heard a few stories about Greer from the Philly area. During the Tip Off Classic he showed and proved his worth. He has good quickness especially in the open court. He uses a burst of speed and ability to finish with ease with either hand. He can also stretch the defense with his range behind the arc. He teams up well with Hoggard and they should do damage this year. 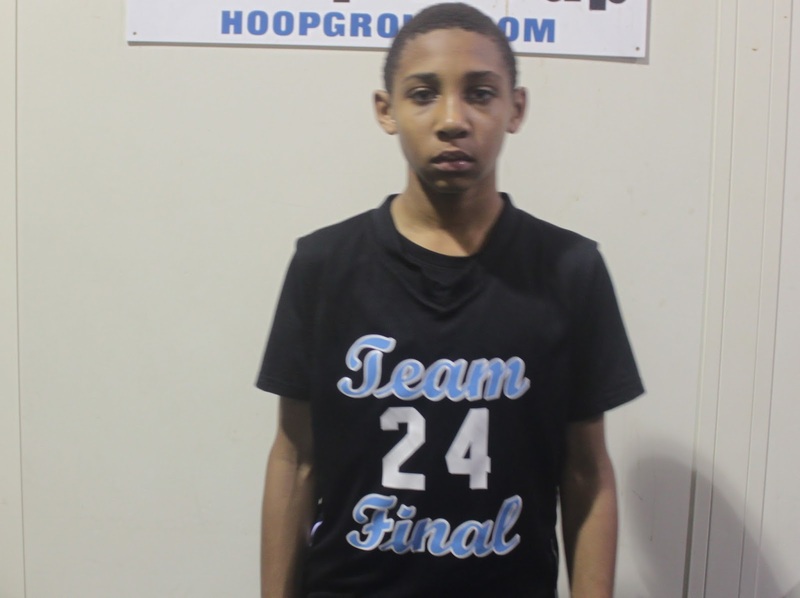 EJ Evans Guard (Team Final)- Evans has a smooth game off the dribble and shows some explosiveness attacking the rim. When he’s on he can put together a number of points in a hurry. I like his stroke and the way he puts it on the deck. He has a chance to make some noise right now and down the road. Noah Collier Forward (Team Final)- Noah is naturally a wing but had to bang a little more because Team Final’s lack of size on the blocks. I like the quickness he showed when facing the basket and making moves. This experience will help bring more toughness to his game. Basketball Spotlight Clash For The Cup Registration Ready To Go! The Basketball Spotlight Clash For The Cup will be returning to Neptune, NJ January 30th and 31st. This event will be bringing some of the top teams in the country to the Garden State. Space will be limited for this event so make sure you register quickly. We have single team and multi-team registration below. Remember this event will sell out quickly. Tip Off Classic Highlights: Hoggard Has His Way With The Competition! I haven’t seen AJ Hoggard play in person since last spring at the Atlantic City Showcase where he helped Team Melo win a championship. Fast forward to the Tip Off Classic and this youngster put on a show. His ball handling is through the roof and jump shot has shown great improvement. 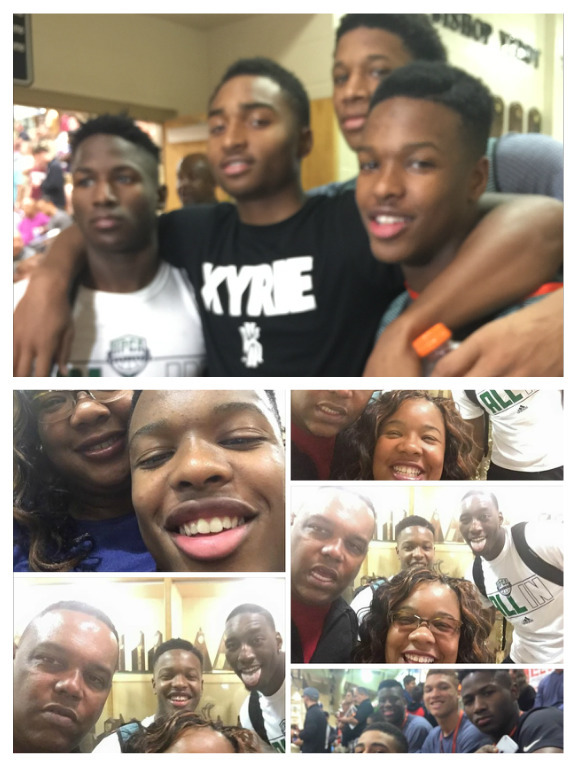 Check out his highlights from the weekend and stay tuned as we bring you more top players from the Tip Off Classic. Tip Off Classic Highlights: Ryan Myers Catches Fire At Tip Off Classic! Myers brought back the experience of playing with New Heights 8th Grade last season and it showed in his game. The southpaw scored at will all weekend and saved his best games from the biggest stage. He torched the Playaz for 26 points in the semifinals and gave Team Final a game high 28 markers including 3 treys in the finals while taking home MVP honors. Could he be the next 8th Grader to have a breakout season? He’s off to a great start. Breakdown: Byrd was able to put together a fantastic weekend. He averaged close to 20 points per game by using his speed to get past defenders and showing his range by draining treys. One of his best shooting games was the 5 three pointers he hit against Team Final (Black). Breakdown: Jefferies wasted no time getting busy at the Tip Off Classic. He defense stood out to me early and often. He ripped ball handlers while also playing the passing lanes like a hawk. In transition he finished off plays very efficiently. He had a tremendous weekend while helping Team IZOD get things done. Breakdown: Colon is coming along very well. He’s making his mark as another guard coming from the Milbank program. He really came to life during the semifinal game where he knocked down five treys to help lead them to the championship. Tip Off Classic Highlights: Hoggard Hits Game Winner Versus Rens! AJ Hoggard hit this game winner at the 2015 BBall Spotlight Tip Off Classic to help lead Team Final over a tough NY Rens team in pool play. 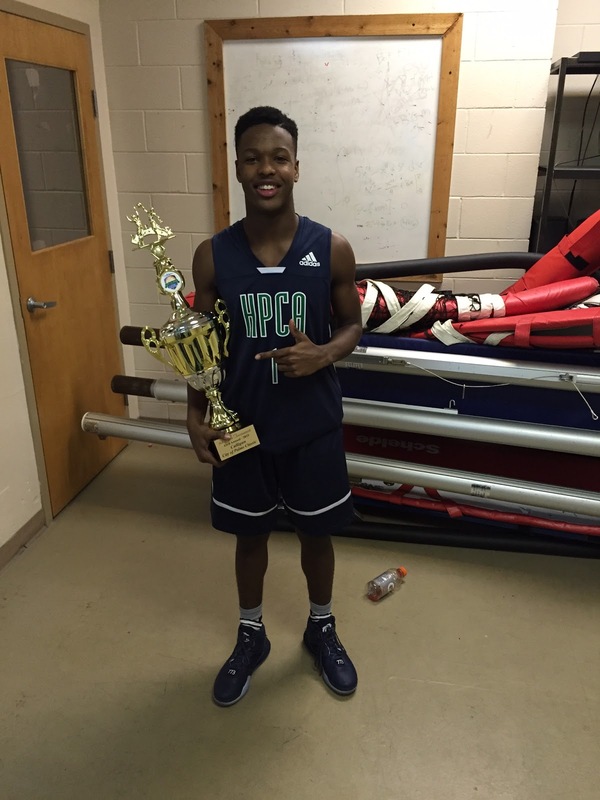 Hoggard is a Class of 2020 prospect who is one of the top guards in the country. Tip Off Classic Highlights: Noah Farrakhan Has Big Time Rejection! I never heard of Noah coming into this tournament but after seeing this block he caught my attention for the rest of the weekend. Noah Farrakhan plays for the 8th New Jersey Playaz Basketball Club and is extremely hard to guard once he's in rhythm. Farrakhan played the role of the floor general all weekend and was one of the very few guards I would consider having on my high school varsity team. 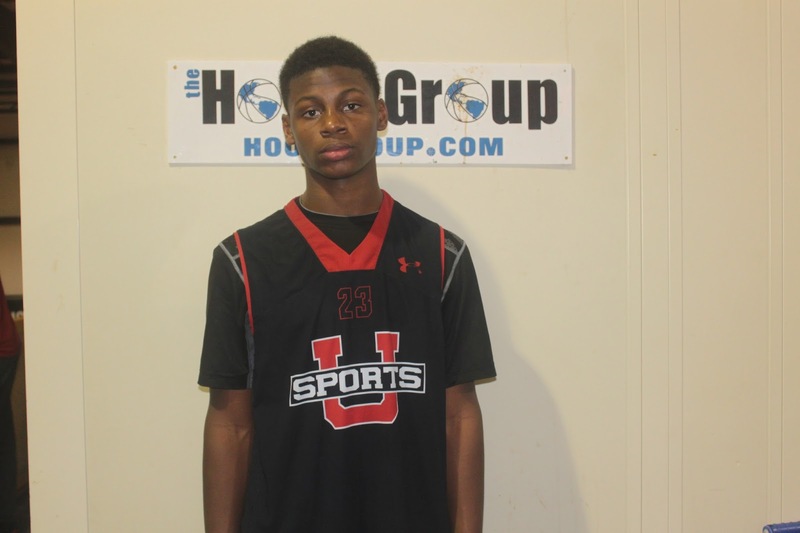 Breakdown: As at the Basketball Spotlight Future Phenom Camp Mattei was a man amongst boys. He showed he could use his unbelievable motor to power through defenders and finish at the rim. He even can absorb contact while attacking the rim. Breakdown: Crawford starts the point and showed all tournament he could knock down the outside shot and get his teammates involved. He stepped up against Team Thrill when his squad was trailing to knock down three treys and also stood tall against New Heights in the semifinal. Breakdown: Nicknamed “The Tank” won MVP by being a good floor general, good ball control and playing with at a great pace. He doesn’t force the action but instead lets the game come to him. He gets it done playing with three other kids that are nationally ranked. He’s totally unselfish. Basketball Spotlight Tip Off Classic 8th Grade Orange Division Championship Recap: New Heights Just Too Big! New Heights used their size and balance scoring to defeat Team Final 65-55 and win the Basketball Spotlight Tip Off Classic 8th Grade Orange Division Championship. 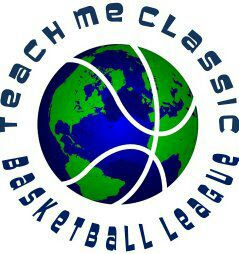 Basketball Spotlight would like to congratulate both teams for making it to the championship of the Tip Off Classic. 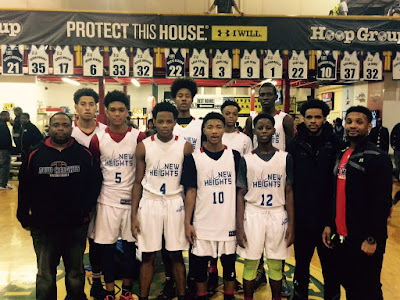 Basketball Spotlight Tip Off Classic 8th Grade Blue Division Championship Recap: PTT Completes The Task! Philly Triple Threat fought off a stubborn NJ Shore Shots squad to win the Basketball Spotlight Tip Off Classic 8th Grade Blue Division Championship 48-41. We would like to congratulate both teams for making it to the finals and we hope to see back at Basketball Spotlight very soon. Basketball Spotlight 7th Grade Orange Division Championship Recap: Team IZOD Are Champions! In a rugged defensive battle Team IZOD out lasted Philly Triple Threat 33-28 to win the Basketball Spotlight 7th Grade Orange Division Championship. We would like to congratulate both teams for making it to the finals and we look forward to seeing them soon.